On Wells and Finding a Lost Well- Without Falling In! We were out on 35 acres today, looking for a well. This is beautiful acreage, perfect for an equestrian retreat. It is level at the bottom, then rises gently thorugh a series of hills to the viewpoint high up the mountainside. But where was the well? We had hints from the owners of the property of where it might be located, but this acreage is a 1031 investment property for them, they had walked it once or twice, and they weren’t sure if they had even seen the well. They thought they remembered the former owners saying it was at the summit near a rough cabin. So we found ourselves bumping over steep terrain and wet leaves to reach that likely place where that illusive well might be. Have you ever tried to find a well on 35 acres with only hearsay as a clue? Let me tell you, it is quite a challenge. But we came prepared. We were bundled up, be-sweatered and woolen-capped, our big clippers, weed wacker, and survey in hand. We spotted the clearing near the top. 360 degree views of ancient mountains painted in the colors of autumn greeted us as two white-tailed deer dashed into the woods. I said I would go hunting for lost wells any day with these dividends and we headed out toward the point. Right about then, as luck would have it, I tripped over something in the grasses. An old iron rod. An old iron rod that marked the spot where a grown-over well plate hid! Yes! Now all we had to do was find out who dug the well, the capacity and depth. Some luck...we could make out the name of the well-driller. On Monday we will do some research to see if we can find records from the drilling. Always an adventure. I love this business. Many people use dowsers to find the best place to dig a well. But dowsing can also be used to find an existing well along with determining depth and gallons per minute. Let me know if you can not find the well information you are looking for and will see what I can do. THANKS!!!! I didn't have a clue that this was something a dowser could do. Now what I'd like to do is an experiment. Get the well-drillers out there to report on the well they drilled, Then look at their results to see how close their numbers are to yours. My hunch is they will coincide. What do you think? It reminds me of when we were in the oil and gas business in Tennessee and I was walking land to find "the fallen oak tree" in a metes and bounds description from 100 years ago. Funny you should mention dowsers. I have a client right now who is in the market for a dowser. She is about to do some land-planning and is wondering where a well might be situated. Do you happen to have a handy list of dowsers you could recommend? Here in the mountains around Asheville, we still have the "old" metes and bounds system in our record-fining we run into it all the time. It is kind of "poetic"... I can almost picture where M. B's Old Mule stood in the field by the third stream. 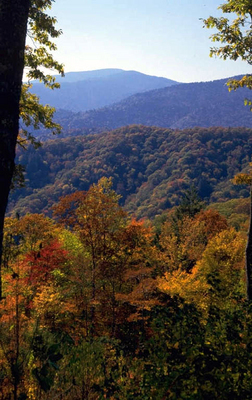 Find NC real estate agents and Asheville real estate on ActiveRain.